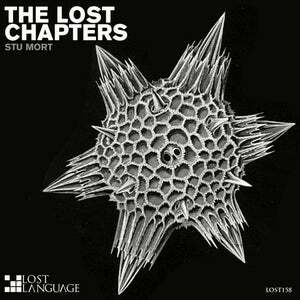 Stu Mort (Aka Freesoup) makes a welcome return to the label with The Lost Chapters EP, a 25-minute widescreen journey through Trance, Psy and Ambient Soundscapes. Lead track "Jiraiya" kicks things off with a sound that harks back to that turn of the century "GC Disco-Tech" style - think Pulsar, Marc & Ace, Atlantis, Spectre etc, while "Earth" takes the EP deep into soundtrack territory, utilising a sample that highlights current concerns regarding the ecological state of our planet. "Isolation" has an almost Boards of Canada (MHTRTC) feel about it, with a gorgeous synth riff and broken beats lifting the atmosphere, before "Fable" finishes things off with (office favourite) Alan Watts eulogising death as a fertiliser for life itself.